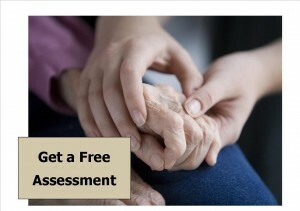 At Because We Care, we are a home care agency that strives for excellence in helping our elderly maintain higher levels of dignity and respect. Founded in 2004, Gigi Peters had the vision to provide senior care solutions for the elderly. We also help relieve stress brought on family caregivers. Over the years, we have helped hundreds of elderly clients in northeast Georgia and east metro Atlanta. With our rigorous standards, your loved ones are ensured excellent in-home care. We provide home care helpers, Certified Nursing Assistants, and Companion Aides. 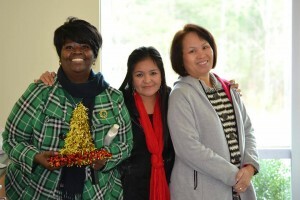 Our caregivers are trained for elderly care and are caring, compassionate, and dependable. Our focus is on providing home care in a friendly and professional manner, so seniors can continue to live comfortably and independently in their home. We are your local home care agency. 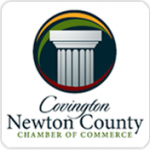 Located in Covington, Georgia, our home care agency offers affordable solutions for the elderly in Barrow, Butts, Clarke, Clayton, DeKalb, Greene, Gwinnett, Henry, Jasper, Morgan, Newton, Oconee, Rockdale, and Walton counties. 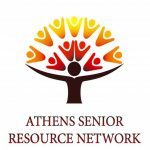 We are proud members of the Athens Senior Resource Network, Gwinnett Senior Provider Network, DeKalb Senior Provider Network, Eastside Senior Resource Network, Conyers Rockdale Chamber of Commerce, and Covington Newton Chamber of Commerce. The mission of Because We Care is to help seniors remain independent in their own homes for as long as possible. We choose to make a positive difference in the lives of our clients and their families. Our team will perform its collective duties with care, compassion, consistency and commitment. We will treat every client as a family member and perform every task with honor. At Because We Care, we envision a world in which senior citizens can age gracefully, socialize frequently, and live confidently. We will not allow them to become third world citizens in a first world nation. We’re making a difference in Home Care. We strive to make a difference in our elderly clients’ lives. We understand their desire to stay in their home and maintain as much independence as possible. Our services are non-medical and provide the added support to help.